Our main website and blog is still over at www.LoraOBrien.com, but this is a NEW THING! Do You Want to Connect to Ireland? I'm here, walking this land every day, with the expertise and the experience to facilitate your authentic connection to Ireland - our history, our culture, our mythology, our ancestry, our native spirituality. 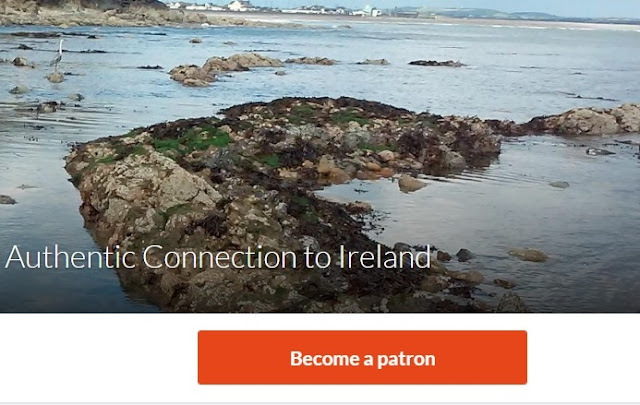 By being a Patron Here, you are joining a community of like minded people, those with family and ancestral connections to Ireland, and those who don't have bloodlines here, but feel the pull of this land nonetheless. You can choose your experience from a range of options each month: supporting my weekly or bi-weekly blog posts (or choosing the topics you'd like me to write about); share in my seanchaí stories, the intuitional interpretation and re-telling of old Irish tales; personalised transcript and downloadable audio files for a monthly guided journey/meditation using my uniquely developed native, indigenous 'Journeying in the Irish Otherworld' method; unique photography, video, or an archaeological/spiritual report from my monthly visits to ancient sites around Ireland; invited access to a monthly online class, webinar, or a one-to-one online consultation session; a personalised, pre-release, signed copy of any forthcoming print books I write. 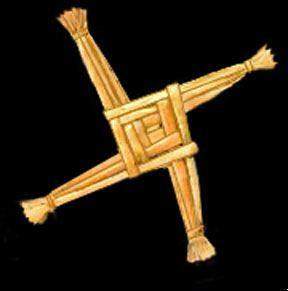 While I've been practicing a pagan path myself for over 21 years (consciously), and I am a priestess of the old Gods of Ireland, your religious views are your own business; this connection is for anyone who is open to it. I'm a professional journalist, a published author, an experienced educator and guide who has been teaching about Ireland world-wide, as well as facilitating seekers who come to set their feet on Irish soil and fill their senses with our stories, for the last 15 years. I've recently moved from a professional position (Irish heritage management and visitor/seeker guiding) in County Roscommon, to living and working in an area that's new to me, County Waterford in the South of the island. It's exciting! I'm exploring and learning new things about this county, this region; creating fresh connections for myself, and I'd love to share that journey with you... as well as travelling anywhere else on this island the path may take us. The pledges run from $1 to $500 per month, with tangible and valuable rewards at each stage, so you can choose from 11 different pledge levels with a budget that suits you, and get some of that growth and connection at whatever level you like, now or in the future. Just pick your reward and let's get you connected! Helping me to create and sustain my blog 'Speaking for Ireland', which has been running since April 2013 with at least 1 post per month... ideally I'd like to be posting bi-weekly or weekly, can you help make that happen? ​I'll do a personal shout out to a Patreon Blog Supporter at the end of each blog post too - internet fame and fabulousness could be yours! I'll blog on what you want to know about, as soon as possible - form an orderly queue now - ​and dedicate the blog post to you. Plus you're helping me create and sustain my blog, and there's a personal shout out to one of you at the end of each post... but mostly this is about you getting to control what I'm writing. Exciting eh? You're supporting the blog, you get to make the blog monkey dance, AND I'll send you a wee Irish story every month. How cool is that?! ​There is a wealth of myths, legends, fairy tales and folk stories, which I re-tell in my own style… You'll get a story plucked from the depths of Irish myth and legend, and refreshed for your reading pleasure; from the heroic warriors Fionn and the Fianna, to a Goddess who cursed the men of Ulster, to an on-going battle of wits between Celtic Queen Maeve and her rival King Conor. We'll see shape shifting sisters, fairy folk you'll want to watch out for, fights with monsters, and wise old women helping young maids. Sent directly to you in a personalised email message each month. ​Sure who doesn't love a good oul story? Support the blog, make the blog monkey dance, get yourself a story, and practice your Journeying technique. Or rather, my uniquely developed native, indigenous 'Journeying in the Irish Otherworld' technique. It's not like any guided meditations you've been on before. ​I teach this method of exploring yourself, your experiences, and the Irish Otherworld in workshops all over the world. When you join this reward, you will receive a 'Basic Introduction Package', with a brief guide to get you started, which includes introductory written and audio journey files for you to download and keep. Then, every month I'll send you a written copy of a journey for you to practice and work through - you can learn it off, audio record it yourself and follow it through, or work with a friend to guide and follow the pathways to and through the Irish Otherworld. It's a new skill set to learn or practice each month, with sound Jungian psychological influence guiding the deep indigenous Irish roots, that'll change how you de-stress yourself from everyday cares, and/or Journey with an authentic Irish method and technique that connects you firmly to ancient spiritual tradition. $5 – Take a Journey with Me! Do I need to go through all the previous benefits again? Ok... support the blog, make the blog monkey dance, get yourself a story, practice your Journeying technique. Got it? Choose this reward and you have got all that, but you'll also get an audio recording of me guiding you on these journeys. ​For this reward, you'll get all the great Patreon Prizes above, with the addition of a downloadable MP3 audio file, so you'll have a useful (and hopefully pleasant, with the Irish accent an' all) guide, to bring you on the Journey each month. ​This $5 per month is a great way for you who are completely new to authentic Irish spiritual practice, or those of you who want to begin this stage of your connection gently and with an easily digestible amount of work/engagement balance. All of the above (I don't need to go through them all again, right?! ), plus a set of 5 new pictures from an ancient site I visit each month, and a link to a website with information about the site - a resource that I've checked and approved, but not necessarily written myself. ​Yes, they will mostly be spiritual, often sacred, though occasionally cultural sites and monuments. Not always well known ones, and not always the same ones... but I do have some favourite places that I re-visit through the seasons so you can watch as they shift and change with each cycle. ​This is where you begin to share my journey of connection into a new region of this island, see it through my eyes as I explore new places, or deepen connections with sites I know and love. I'm excited to share that with you! All of the above, with a set of 5 new pictures each month, and the experience of walking around the site with me as your guide - I'll share video and audio footage so you can see, and hear the site right in front of you, and get a sense of what it's like to be there with me as I explore and learn, sharing my connection with you. ​I have worked for 10 years as a professional tour guide to Ireland's sacred sites and monuments, and 20 years as a priestess of the old gods. Plus I'm funny as f*ck. It'll be great sure! And again, all of the above! (Support the blog, have your say in blog content, get a personalised tale of old Ireland each month, receive transcription and audio files for that month's guided Journey, with a set of 5 pictures (one of 'em may include me... I'm letting you know that now so you're prepared for my mug in at least one of your lovely site pics. And it'll most likely have to be a selfie, because who'd be mad enough over here to traipse round old sites with me every month and take my pictures?) and a guided video experience of the sites. That's a lot, now that I lay it all out like that! ​For this reward, you ALSO get yourself a Personalised Report, researched and written by me. You'll get the heads up a few days before I travel as to where I'm going (I'll also consider requests for specific locations with this reward - bonus! ), and the link to a basic info website about the place... you get to send me comments or questions or requests for specific information or focus during the site visit. Basically, you get to have an input in the type of experience we have at each site, each month. ​In the Report you'll receive after the site visit, you'll see an in depth look at each place - the archaeology, the history and folklore, a sample of the plants and animals that can be found there (information about them, I mean, come on like I'm not gonna mail you a badger or anything like that), and a section on my spiritual experience and personal gnosis on the place. And the really fun part is there'll also be a bit at the end with a suggestion for practical exercises you can do (spiritual/magical, not physical exercise because frankly, I've enough to be worrying about with my own levels of unfitness, without having to take on all yours too, right?). You will be absolutely welcome to email me afterwards with your completed exercises, your feedback or experiences of the Journeying, any questions you might have based on that month's working... and I'll even email you back! You get everything already listed, as well as an invitation for VIP access to one of my online teaching sessions of your choice, each month. I organise and run at least one teaching session per month online, and some months it’s one per week. You get to choose one, and attend, with a special thank you shout out and acknowledgement during the class. The cost of each session for non-Patrons is between $50 and $125 per 90 minute module, of a presentation with a Q&A session after. You are getting your access to each session at the lowest fixed rate, plus all of the other Patreon Prizes as a super cool bonus. For this Patreon Prize you also get a private one-on-one consultation and teaching session in an online forum of your choice - I can host a private online video call/meeting, we can use Google Hangouts, or Skype, or do a Viber video call. Whatever suits you and your tech. ​You get to connect to Ireland in all the ways listed above, get all of that content and material, the on-the-ground expertise, right along with personal access to an experienced professional to help and guide you to sort through it all each month and make sure you're on the right path, walking in the right direction, doing the best you can do for your growth and development, and deepening your connection to Ireland in ways your never thought you could. ​Well, you can. And I can help you with that. ​Everybody thinks they have a book in them. The vast majority of us won't ever actually sit down and do the work... I'm sure I don't need to map out the endless years of honing the skill and talent of the craft of writing; you, my dear Patrons, know better to think than to think that just because a person can put words in a sentence that they are a writer - someone who can draw a stick figure isn't automatically an artist, right? ​Then there's all the research, and the actual time-intensive slog of writing, editing it down to readable, reasonable content, and even the marketing of each and every book us writers have to do these days. It's intense, truly. ​If you like my books though, and want to support me so I can write more of them (ok, so it's hard, did I mention how HARD it is to write a book - but it's also a good thing for me to do, I know this), you can support me as an author by choosing this reward. ​There's been like *counts* 10 other rewards by now, with some pretty awesome swag, so I guess I don't need to go through everything else you'll get. If you've read through to this point, you're pretty into the whole idea of connecting to Ireland, so you know what your options are here. ​Supporting me writing my next book, or books, gets you all of the other Patreon Prizes each month, plus you get raved about in the acknowledgments section of each new book, and of course you get a personalised, pre-release, signed copy of all forthcoming print books I write while you're a Patron. ​This reward is limited to 3 Patrons only, or my publishers will have a hissy fit about me giving away books before the official release date. Don't forget, you can find me now over at www.LoraOBrien.com, where there's a brand new blog, my clips file, publication info, and all the news on teaching and events. (that's the new Irish Heritage and Spirituality Correspondence Course for 2014). I've a mailing list over there too, and you should Sign Up There for exclusive news and sneak peaks on what I'm writing, before anyone else sees it. Can't forget the social Media - you can Find me on Facebook and Twitter most often. I hope you are enjoying the book, and that the free sharing that is being done is motivated by a genuine need; as if you truly can't afford the cover price, I'd prefer you have the work, and make good use of it, than not get access you may want or even need. If you get to a place where you can afford to contribute, please do so in future. If not - write a review, link to my site, tell your friends; be ambassadors for this work, if it does you good. But please make the best use you can of whatever you find in that book, with my blessing. If, however, the free sharing is due to carelessness, dishonour, or disrespect for the amount of work and personal sacrifice it takes to produce a book from start to finish (more than you know), not to mention the lifetime of research, training, and personal development it has taken to get to a place from which this book was possible... well, please think carefully about that before you click share to your friends again. If, for some personal reason, neither of the above applies, but you would prefer not to put money for my family into my pocket, I urge you to consider donating the cover price to charity. My choice would be the MS Society, or the ISPCC, but take that as you will. You can purchase your copy of 'A Practical Guide to Irish Spirituality' from the Publisher or through Amazon Here. Reviews by Mr. Abhainn (Niall Jordan) on his blog and on Amazon. A full review will be forth coming as I have some work to continue to prep this blog and organise some other web commitments before returning to Limerick on Tuesday. The book is “A Practical Guide to Irish Spirituality Slí Aon Dhraoí” by Lora O’Brien, it is published by Wolfpack and is available HERE. The premise of the book is an interactive workbook style that the reader diaries their experiences of working with the exercises. O’Brien has included a variety of questions to help propel the reader in their own journey through their relationship to the the world around them. It opens with, “You don’t have to be Pagan, or New Age, or Magical, or Spiritual, to read this book. You don’t even have to be Irish. To get the full benefit, you do have to be open minded, willing to learn something about yourself, about Ireland, and maybe even about your place in this land”, a bold claim to make but amongst those of us who have attempted to work with the Irish Traditions makes a little more sense. Simply put we are talking about Irish Traditions, plural, and so from the perspective of the modern seeker, or cuardóir to borrow from O’Brien’s first book, Irish Witchcraft; the exercises in the book don’t merely describe the semiotic and symbolic relationship we have with our spirituality but brings the reader on a journey throughout it with meditations beautifully crafted. It is packed full of thinking points and questions, many of which you will answer about yourself, offering many personal, unexpected and wonderful insights as well as the ones provided in the book by the Author. Amazon Review - 5 Stars! While I'm one rarely drawn to write reviews for books I find myself called into a stark realisation that few people have offered one on this latest offering from Lora O'Brien. What makes this even harder to rectify in my own mind is that O'Brien is no stranger to writing having written 'Irish Witchcraft by an Irish Witch'. I will endeavour to keep my praise of this book to the book itself but I feel that I ought to explain myself as well. I know Lora O'Brien from around the Irish Neopagan scene, indeed she guided those of us lucky enough to attend her talk at Feile Draiochta through a meditation which was the first time I've seen a room en masse drawn into a meditation so deeply and part of that I chalk down to O'Brien's experience but the rest is the terrain in which she coaxed us all down was Irish (see did have a point relating to the book!). Whether one is Irish by choice or by birth, defining "Irishness" is problematic. We're a nation built on generations of trade, invasion and settlement. As an island nation its impossible for any of us to be "pure" Irish and honestly pure Irishness has a mindset that is open to all - which Lora does in her book. Rather that closing off Irish Spirituality to a select few she opens the process to any and all spiritualities looking to connect on the level of the land. To aid the reader O'Brien has inserted an experiential level to her work through allowing the reader to record their own experiences and prioritise them. This is a strong psychological and sociological perspective to the book without being cold while being self-reflective. Some of the exercises allow us as localised people living in a globalised community to learn to use resources at our fingertips i.e. stories from family members, learning local history, etc. The clever way(s) in which O'Brien coaxes the reader to reflect on these encounters is also of huge import to the reading of this book as a standing ovation, metaphorically speaking, to the Echtra and Immrama (the latter moreso) of Irish heritage. Without giving too much away I wanted to offer what I enjoyed about this book was its flow. Lora O'Brien doesn't attempt to over intellectualise the whole process nor does she offer a cheap sugar rush to fulfil your senses only while reading. If one heeds the author's advice and journals the process the founding steps for a strong and test-worthy [I mean test-worthy not trust-worthy] spirituality will be there. While I loved Lora's first book this one shows how much there is to learn about Irishness and the Irish psyche throughout the ages and gives the reader a more honest sense of that history. Slí Aon Dhraoí - the way of one user of magic, Druid, seeker of an Irish Journey - but not just my way, not just the way of one of us, this is a way for any one of us. A Practical Guide to Irish Spirituality, the aforementioned 'Second Book', was conceived at Lughnasadh, and written by Samhain (2012). At times I felt the shape of this book grew all by itself, though the words were mine. Our Irish community supported me, encouraged me, made suggestions and offered advice. This is work that needed to be done. Even if you are not interested in the Celtic World, the symbolism that Irish Spirituality provokes belongs more to the soul than to a culture or race of people. To be inspired, to question yourself as a person and the way of your life, is a must for your personal development. Irish Spirituality is not a script which demands that you follow a certain pathway; it invokes your conscious thought - allowing you to view life as it could be, not as it is. It does not pressure as some religions do, it does not demand as society does; exploring your Irish Spirituality gives you the space and depth to breathe, in your own time and at your own speed. I have been told time and again that this is a year of change, of unblocking, of gathering momentum and movement. Ireland needs change. Our country needs her people strong, connected, standing together, no matter where your feet happen to be placed right now. Community strength, from the grassroots up, is essential for our survival, and our children's future in Ireland, and with Ireland. Yes folks, I am entirely in the thick of it now - the fabled 'second book' that I've been promising for seven years. Yes, SEVEN, count 'em, seven years since the first book came out. So much has happened since then, I wouldn't even know where to start explaining - but things are definitely back on track for book number 2, and I'm very excited about it. I wanted to work to a deadline, so I set myself the writing challenge of having text finished by Samhain. That's just a first draft though, so I'm not sure how long it'll take beyond that to get the rough work that I've been churning out (on track with the deadline, I may proudly note, despite the difficulty it usually poses), ready for viewing by the world at large.